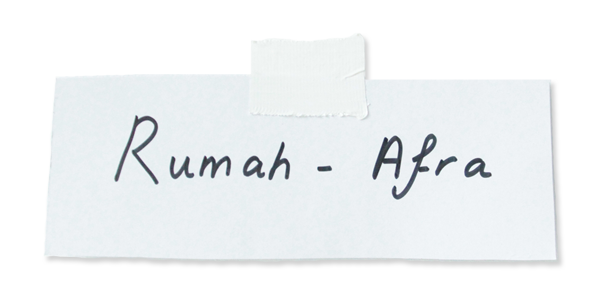 Welcome and thank you for choosing Rumah – Afra. Jakarta and moved to the Netherlands at the age of six. A professional dancer with a contemporary style. Afra has worked with Lina Limosani (Australian Dance Theatre), Nederlands Dans Theater, DOX, ISH, Laurent Flament, Het Holland Show Ballet and Sine Forma to name a few. Her eye for detail in interior design will always be connected with her passion for Dance, or how she calls it – movement. Let’s create and let Rumah – Afra inspire you. See the world through her eyes and follow her.